Jane Forster is a Traditional Chinese Medicine (TCM) Practitioner, registered in B.C. since 2001. After graduating from I.C.T.C.M. in Vancouver, she furthered her education by gaining an internship in China. While in Chengdu and Hefei, Jane focused her studies on gynecology, infertility and internal medicine. 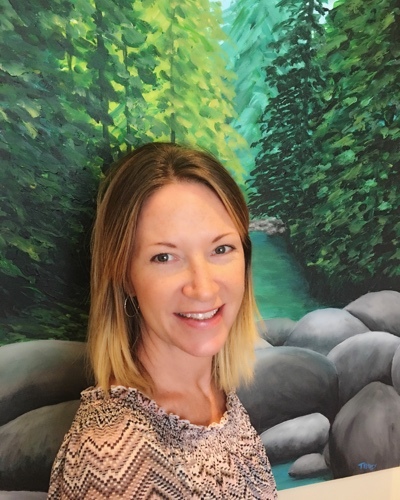 Although her scope of practice is diverse, she has passion for helping those on fertility journeys, including IVF/IUI preparation and aftercare, balancing hormones, and calming the “shen” (heart spirit) from start to finish. Additionally, she has had great success with treating Endometriosis, fibroids, PMS, menopause and perimenopause. Her focus is to bring the body back in balance so that symptoms and disease do not manifest and the body learns to heal itself. Born and raised a North Shore girl, Jane loves the outdoors and can often be seen with her three children enjoying the healthy lifestyle.